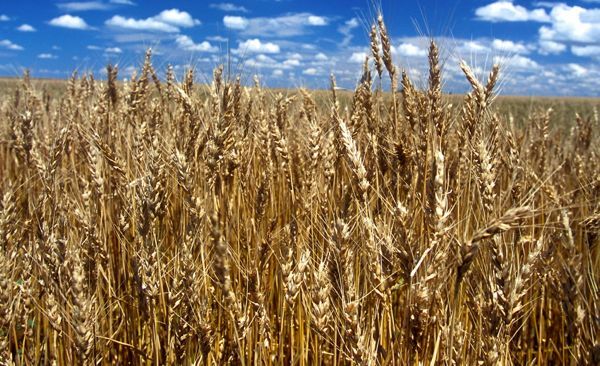 CNS Canada –– Canadian wheat growers could find themselves popular with international buyers this winter, as world wheat stocks hit lows not seen for a decade. Marlene Boersch, managing partner at Mercantile Consulting Venture, said the present 26-day wheat supply available to world markets, once China’s stockpiles are removed from the equation, should boost prices as the shipping season wears on. First, she said, Russia has to sell out of all of its cheap grain. “We are really lined up for increased exports out of North America because it will be the next wheat in line that is the cheapest,” she said. With drought severely limiting new crop in key wheat-producing regions such as the European Union, Australia and Kazakhstan, North American suppliers should have no shortage of opportunities. Canada and the U.S. have both been hit by some drought conditions as well, but their situations are not so dire. The U.S. also has a large stockpile of wheat. “So, if the pace continues at the rate it is going right now in terms of exports out of Russia, they should be sold out by some time in December. This is, I think, when the doors open specifically to the North American grains,” said Boersch. This crop year, she added, could present a great opportunity to draw down Canada’s carryover stocks, which she said are often large at five to seven million tonnes, relative to the size of the country’s wheat production. This year, Canada expects 5.5 million tonnes in carryover wheat. “It would be a golden opportunity to sell all of this, but my question is how are we going to do that with the rail system because it doesn’t respond quickly to opportunities that come about?” Boersch said. Cam Dahl, president of Cereals Canada, said the railways have filed their grain movement plans, as new legislation requires, and he’s optimistic the shipping situation will improve from last year when backlogs plugged the system. “Right now, I am going to take them at their word that they’re ready for this crop. They know the size and I think we’re in a lot better shape than last year,” he said. This year’s wheat crop is similar in size to last year’s at 30.3 million tonnes anticipated this year, compared to 31.8 million in 2017-18. Updated crop numbers are expected within the next couple weeks. Dahl said the current wheat crop will likely be of good quality with high protein levels, although test weights might be light in some areas. Export volumes should be similar or greater than last year, he said, given the shrinking world supplies, especially for high-protein wheat. Boersch said recent low prices won’t last and were driven by an overreaction in automated markets to Russia’s announcement that it increased its overall grain production estimate to 105 million tonnes from 100 million. She reiterated that few suppliers outside of Canada and the U.S. are positioned to supply wheat markets once Russia exhausts its supplies. Australia has priced itself out of high-quality markets, wanting to hold onto it for domestic use. Although Argentina might have enough to fill a few orders, it has limited supplies as well, she said. China currently has about 46 per cent of the total world supply of wheat at 126.8 million tonnes, although nobody in the trade outside of China really knows for sure. When that is deducted from global stocks of 273 million tonnes, because it is not available to world markets, it gives the eight major wheat exporters a 26-day supply, the lowest wheat supplies since 2007-08, the Reuters news agency reported. Low food supplies then sparked protests and riots in many parts of the world and led, in part, to the Arab Spring revolts across North Africa. However, much lower oil prices today and larger stockpiles in North African nations will likely ease protests this time around.